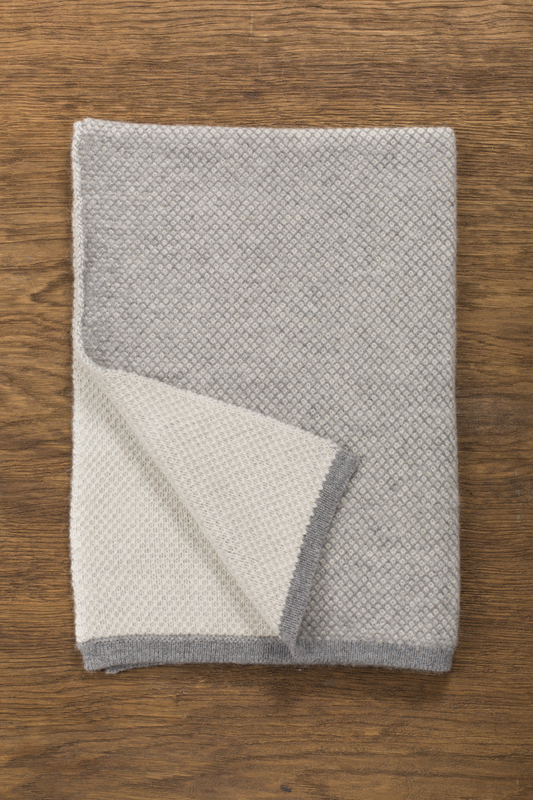 A classic-meets-contemporary, two-tone reversible baby alpaca blanket from our Pure Collection, cosily textured but lightweight. Whether a gift for a new parent friend or a warm welcome for your own family’s newest addition, this charming blanket will be cherished for many years. The Inti blanket is soft and voluminous. Please note that due to the nature of this particular blanket’s woollen baby alpaca fibre combined with the special weave can result in some shedding. Shedding will reduce after use and dry cleaning. Baby Alpaca fibre is perfect for babies and young children, being both hypoallergenic and natural. The fleece is lightweight and breathable and has outstanding thermal qualities, bringing warmth in cold weather and keeping the body cool in the heat. 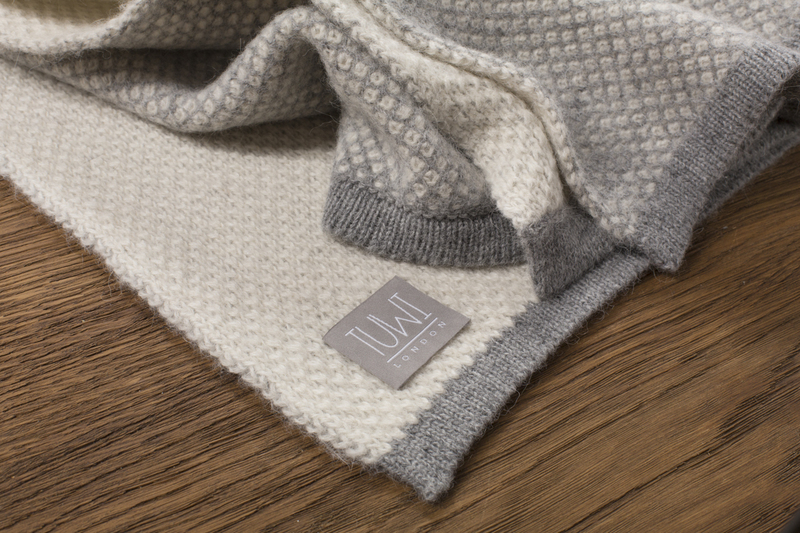 The softness of baby alpaca fleece is comparable to cashmere but it’s rarer, more eco-friendly and sustainable. Literally the best item my baby has ever had. It’s invredibly warm, soft, gorgeous to feel and look at and the best bit…. when he no longer needs it, it’s all mine!!! Absolutely 10 out of 10!